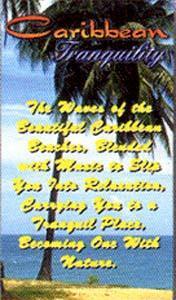 The waves of the beautiful Caribbean Beaches, blended with music to slip you into relaxation. FREE shipping within the United States. Regular retail price is $29.95.